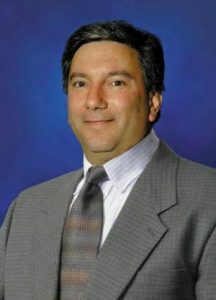 Ron Nersesian – Senior Vice President, Agilent & President, Electronic Measurement Group, Agilent Technologies Inc.
SUNNYVALE, Calif., Nov. 14, 2011 /PRNewswire/ — Trimble (NASDAQ: TRMB) today announced the appointment of Ron Nersesian to its Board of Directors. The appointment will expand the board from eight to nine members. Nersesian is president of Agilent’s Electronic Measurement Group (EMG). In this capacity, he oversees all business operations of the company’s Electronic Measurement business which includes Communications, Aerospace/Defense and General Purpose markets. He also serves as site manager of Agilent’s Santa Rosa Site where he acts as the local Agilent spokesman and is a member of the North Bay Leadership Council and CommNexus Board of Directors. Prior to Agilent, Nersesian held a number of senior management roles with LeCroy Corporation and Hewlett-Packard. He started his career as a systems engineer for satellite communications systems at Computer Sciences Corporation. Nersesian holds a bachelor’s degree in electrical engineering from Lehigh University and an MBA from New York University, Stern School of Business. Trimble applies technology to make field and mobile workers in businesses and government significantly more productive. Solutions are focused on applications requiring position or location–including surveying, construction, agriculture, fleet and asset management, public safety and mapping. In addition to utilizing positioning technologies, such as GPS, lasers and optics, Trimble solutions may include software content specific to the needs of the user. Wireless technologies are utilized to deliver the solution to the user and to ensure a tight coupling of the field and the back office. Founded in 1978, Trimble is headquartered in Sunnyvale, Calif.
For more information visit: www.trimble.com.